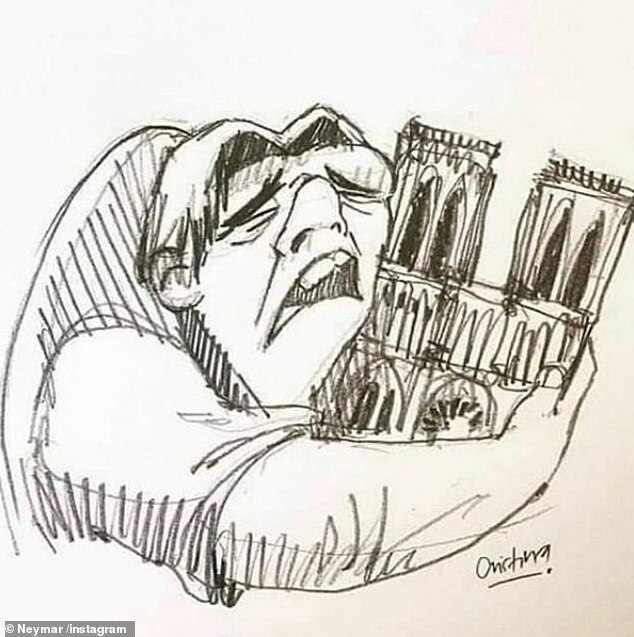 PSG forward Neymar posted a drawing of fictional character Quasimodo, the Hunchback of Notre Dame, crying alongside the words: ‘Pray for France‘. 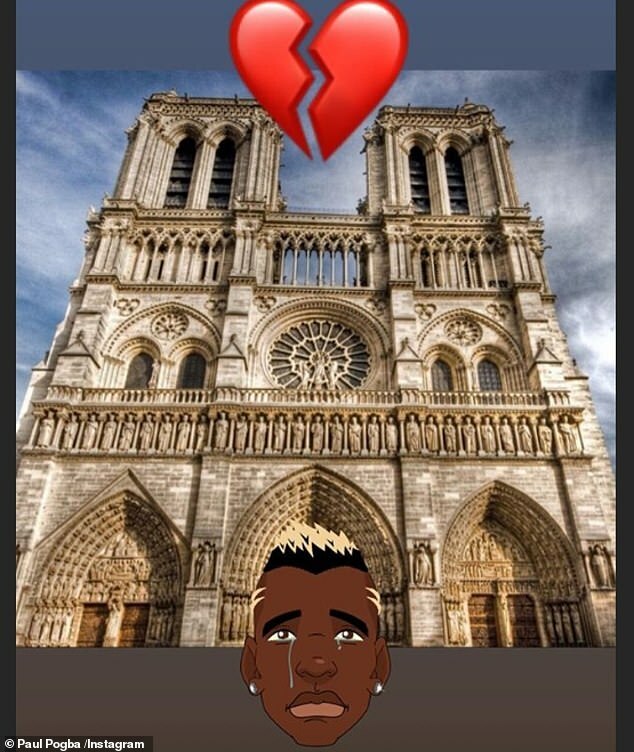 And Neymar’s club-mate Kylian Mbappe uploaded a photo of the burning building to Instagram and captioned it with a crying emoji next to the French flag. Former England captain David Beckham, who played for PSG in 2013, responded to Mbappe’s post with three praying emojis. 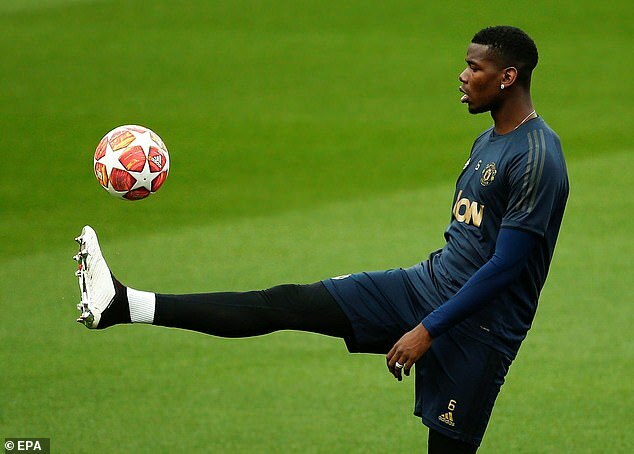 Arsenal’s French striker Alexandre Lacazette uploaded the same photo, while Manchester United and France midfielder Paul Pogba shared an image of the cathedral standing tall and proud prior to the fire. 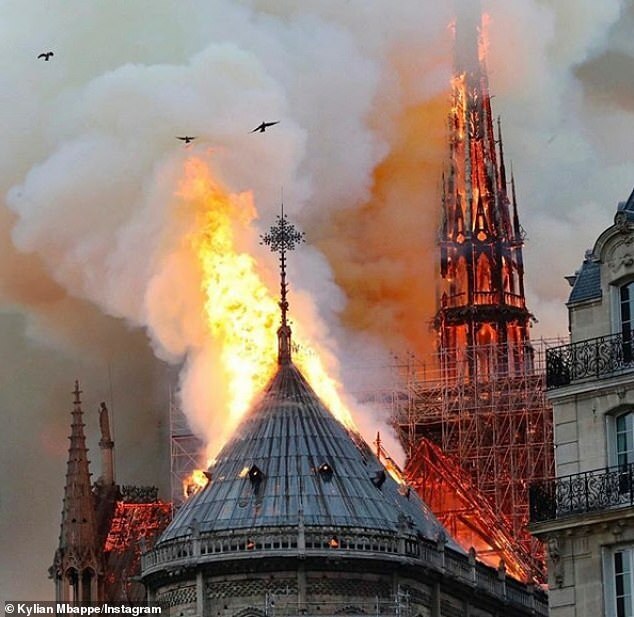 Chelsea icon Didier Drogba added: ‘Sad forThe Cathédrale Notre Dame de Paris’. Speaking on Monday night just hours after the roof of the iconic building caved in, Macron told the world’s assembled press that a national fundraising campaign to restore Notre Dame would be launched Tuesday, and he called on the world’s ‘greatest talents’ to help.